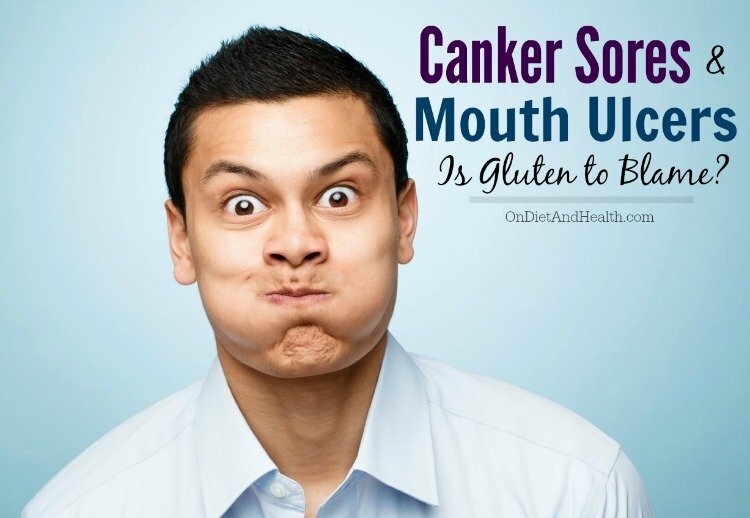 I struggled with canker sores and mouth ulcers most of my life. Until I went fully gluten free and committed to the Paleo Diet. Now they only come if I bite the inside of my lip while sleeping or eating. These are not viral or allergic in nature anymore… Working on my bite as I am now, expanding my palate and moving my jaw forward with special dental retainers has aggravated this a little temporarily as my bite is constantly changing. In childhood I would get terrible canker sores. I remember using my Dad’s Styptic Pencil that he used for his shaving cuts. It worked pretty well actually. 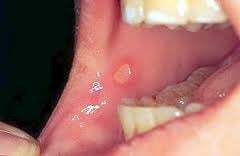 What caused those canker sores and mouth ulcers? 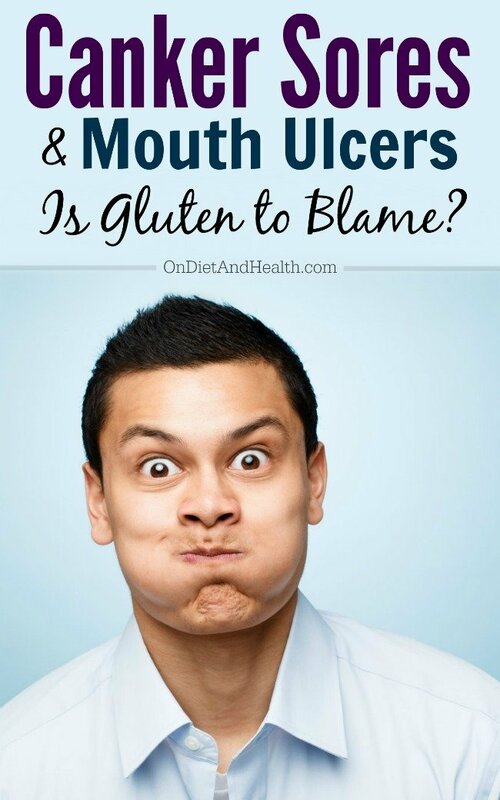 I found out in 2001 that canker sores were related to my gluten intolerance. 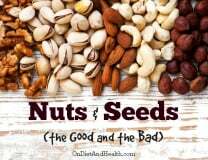 Having first gone gluten free and then grain-free caused a huge variety of health issues to disappear! The inflammation and antibodies from gluten and grains had been causing chronic immune suppressive activity in my body. I didn’t know then that I had Celiac Disease, but I knew from a brief trial of, first, wheat-free eating, and then gluten free eating, that my life would never be the same! Now, with the gluten free Paleo Diet, (also my Diet For Human Beings), I ask my clients and readers to go even farther, and to go GRAIN-FREE. Humans never ate grains until 12,000 years ago when we began to domesticate animals and collect and plant the cereal grasses – wheat, rye, barley, rice, corn, etc. Since we never ate these grass seeds before, our digestive systems did not evolve to break down these highly complex carbohydrates. We’re not ruminants like cows and horses who have an entirely different digestive system completely suited to grass and grass seed. With the introduction of grains, human health began the decline that continues to this day. I believe we all make antibodies to gluten which disturb every cell of our body, and I have seen this on many tests from Cyrex Labs. We know that our ancestors immediately prior to domestication around 14,000 B.C. were taller, stronger and healthier than we are, with little or no systemic disease or dental problems. An animal or other predator might get you, or you might starve or fall off a cliff, but generally the world was on our side. With grains, we have an immediate IMMUNE response, since we are eating a food we are not designed for. (Isn’t that ALSO be true for “foods” such as Nutra-Sweet, food colors, soda, and the extruded kibble we call breakfast cereal)?? When we remove these offending immune substances, our immune systems get stronger and we get h ealthier. What about toothpaste and food additives? Mouth ulcers almost always have a direct connection to what goes into the mouth. Toothpaste with Sodium Laurel Sulfate; foods with MSG; and unhealthy and allergic foods for starters. Some of us make antibodies to other foods such as dairy and this immune response can show up as mouth ulcers. Give your immune system a break and try going Grain-Free for 3 or 4 weeks to see if you’re convinced. 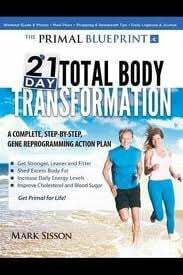 The Primal Blueprint 21 Day Total Body Transformation book is a great guide to that, and we sell a lot of them in my clinic. Keep a list of things that improve on your 21 day journey, such as heartburn, arthritis, depression, snoring, headaches, or whatever your particular thing might be. It may be subtle or it may be dramatic. In the end, if you do require some canker support, as I do if I bite myself, several products work fine. A dab of 100% pure Neem Oil from Premier Research Labs works wonders (available if you write or call my office), but you’ll have to adapt to the taste! CANKA, Canker Cover and Zilactin all work. They’re good for abrasions from braces too. Canker Cover is particularly long-lasting, as it adheres a little melted blob of menthol goo directly to the mouth sore. You can eat without hurting again. If you have a child with mouth ulcers, I urge you to get the entire family into Paleo. Sarah Fragoso, the wonderful guest on my 1/11/12 Primal Diet – Modern Health radio show spoke about changing her family over to this diet. Click here to listen to the show from my website. She’s the best selling author of Everyday Paleo’s many books.